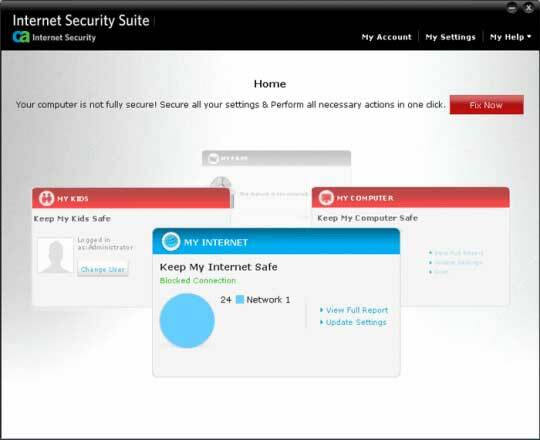 Ca Internet Security Suite Plus v7 / CA Antivirus Plus (2011) brings professional-grade Internet security in an easy-to-use package. Designed specifically for home and home office users, CA AV Plus combines advanced anti-virus and anti-spyware protection. The new release offers several improvements over previous generations of this product, such as automatic USB scanning, enhanced rootkit removal, and search engine integration. CA AV Plus helps you keep your PC, emails, music, photos, and documents free from virus and spyware infection. It offers continuous automatic updates, so you’re always protected against the latest threats. And a simplified user interface makes it even easier to use by grouping common functions into easy-to-understand sections. CA is offering a free 3 Months valid license for Ca Internet Security Suite Plus v7 / CA Antivirus Plus (2011) License as a promotional offer. To grab your free license, just enter here and follow instructions.